With Huge Discount Offer , You Are Getting This Beautiful Vivo Y81 Smartphone In Just Rs.7999 Without Any Exchange. The Original Price of This Phone is ₹10990 In Amazon At The Moment. 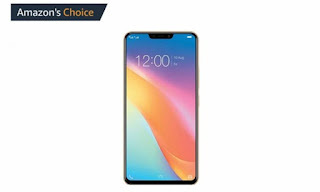 Amazon is Selling This Phone In ₹10990 , But Today On Flipkart, You Will Get This Phone For Just ₹7990 + More Off With Exchange Offer.